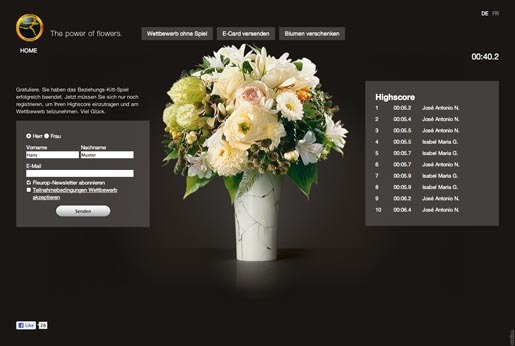 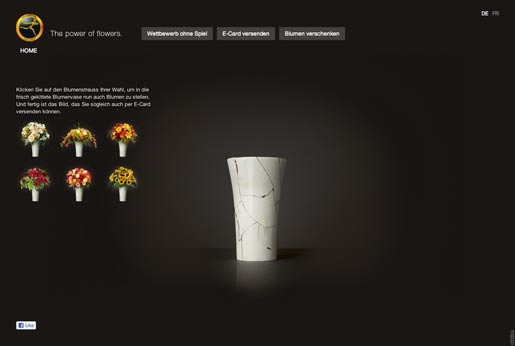 Fleurop‘s Broken Vase campaign, winner of gold (print) and silver (outdoor) awards at the Eurobest Awards this week, centred around a vase cemented with adhesive tape, symbolizing a relationship cemented thanks to Fleurop flowers. 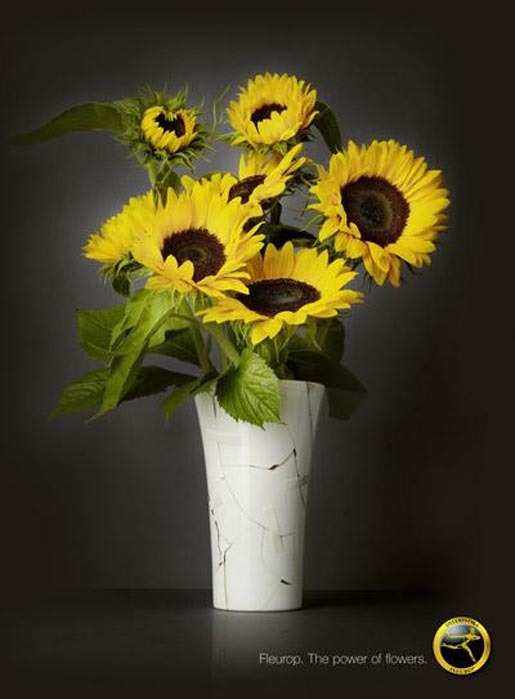 The campaign involved a print advertisement with sunflowers in a mended vase, and an online microsite on which visitors could reassemble a broken vase and place in it their choice of flowers. 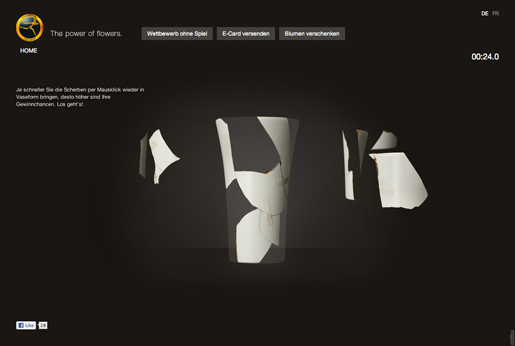 The Broken Vase campaign was developed at Spillmann/Felser/Leo Burnett, Zürich, by creative directors Peter Brönnimann and Simon Staub, copywriter Diana Rossi, art director Reto Clement, consultants Daniel Steffen and Rebecca Krausse, art buyer Suzanna Kovacevic, photographer David Will, retoucher Tina Will, working with Fleurop CEO Jörg Beer, marketing director Monika Kessler and graphics/programmer/graphics Chasper Knapp. 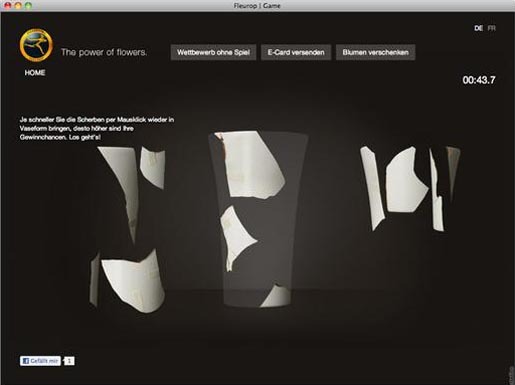 The microsite was developed at Station by creative director Patman, project manager Debora Hirsch, advisor Patrick Stoll, designers Michel Luarasi and Mike Fischer, multimedia producer Ismael Imholz, back end and front end engineers Lukas von Blarer and Simon Schoenenberger.